While Goa is famous for its beaches, nightlife and adventure, one more thing the state boasts is architectural landmarks that will leave visitors wonderstruck. The landmarks in Goa are a blend of Portuguese, Indian and Mughal styles and every street you visit, you will come across a stunning piece of architecture that reflects the state’s rich past. Here’s a rundown of some of the best architectural landmarks in Goa. One of the most popular churches and an architectural marvel is the Basilica of Bom Jesus. Located in Old Goa, the Basilica of Bom Jesus was consecrated in 1605 and is an UNESCO World Heritage Site. In operation for over 450 years, this church is remarkable for its baroque architecture that dates back to the late 16th century, and in fact, this architectural style is hard to be seen in India. The church has magnificent interiors built in Mosaic-Corinthian style. The gold altar is particularly striking. Another crowd-puller is the glass coffin placed in a silver casket that holds mortal remains of St. Francis Xavier, the well-known Spanish missionary. Since Basilica of Bom Jesus hasn’t been rebuilt or plastered, it still flaunts its rustic charm from all corners. It’s a belief that the saint has miraculous healing powers, so every 10 years, the holy relics are displayed for public viewing, the last time it was done in 2014. Be sure to visit the Bom Jesus Basilica Art Gallery next door that features beautiful works of Goan Painter-Dom Martin. With the giant bell, known as the ‘Golden Bell’, Se Cathedral stands as a must-visit spot in Goa. It is dedicated to St. Catherine of Alexandria. It is said that on the day of the Feast of St. Catherine, the Portuguese general, Alfonso Albuquerque defeated the Adil Shah, the Bijapur ruler and took control of Goa. 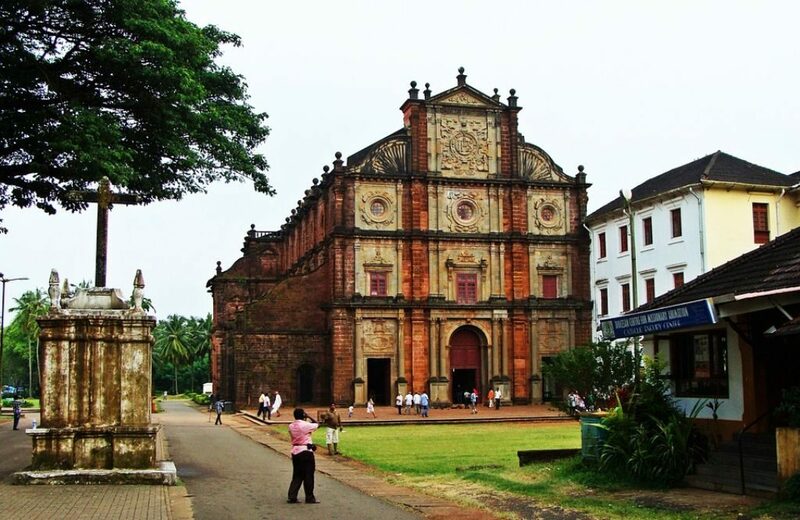 Not only is it among the oldest churches in Goa, built in the 16th century, it is also one of the largest churches in Asia and a UNESCO World Heritage Site in Goa. Its architecture is a mix of Gothic and Portuguese styles. 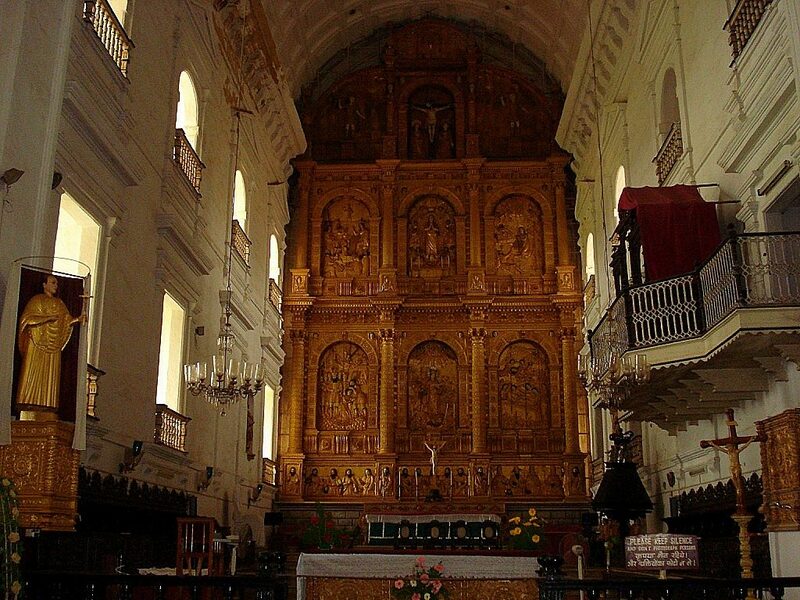 The interior of the church is Corinthian style, while the exterior is in Tuscany style. The major draw, however, are the 15 altars, each one intricately and wonderfully carved, and dedicated to Our Lady of Three Needs, Our Lady of Hope or Our Lady of Anguish. Also, this historical landmark is the seat of the Archdiocese of Goa. Just a stone’s throw away from Se Cathedral, the Church of St. Francis of Assisi is another architectural landmark in Goa. This church might be overlooked, but its inside is impressive and calls for a visit. What makes the Church of St. Francis of Assisi special is the rich carvings, paintings, decorations and designs on the altars. However, the real crowd-puller is the Archaeological Museum housed in the convent building next to the church. The museum features a gigantic statue of Alfonso Albuquerque, along with several sculptures and artifacts. The architecture is a blend of Baroque, Tuscan and Corinthian. Terekhol Fort, also known as Fort Tiracol is situated on the banks of River Tiracol. Though it has now been converted into a heritage hotel, it is definitely a 17th century Portuguese masterpiece that leaves its visitors spellbound with its design and architecture. Inside it, there are seven rooms, whose names are kept after each day in the week. This architectural landmark is lauded for its glorious history and the mesmerizing views of the Arabian Sea, the Querim beach and the landscape. The memorial for Freedom Fighters and a 100-year old church, St. Anthony Church inside its premises are the other major attraction points here. Located in North Goa and standing strong above its namesake river, the Chapora Fort is one of the well-known historical landmarks. It was built in red laterite stones by Adil Shah, the Bijapur King. After the rule of Adil Shah, it was under the rule of the Portuguese, who restructured it in 1617. As you will explore the Chapora Fort, you will come across several underground escape tunnels which helped during emergencies. Along with a rich history, this fort offers scenic views of the Arabian Sea, Chapora River, Anjuna beach and Vagator beach. Besides, it is also famous as ‘Dil Chahta Hai’ spot, as one of the scenes of the iconic movie ‘Dil Chahta Hai’ was shot here, and thereafter this spot gained prominence. 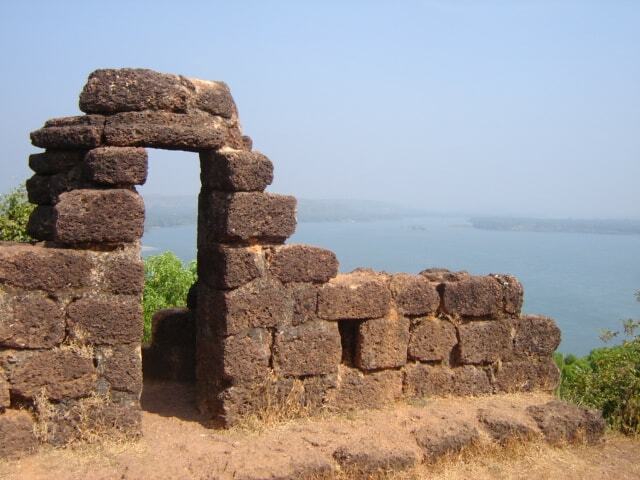 Located at the estuary of Mandovi River, the Fort Aguada is a prime tourist spot in Goa. 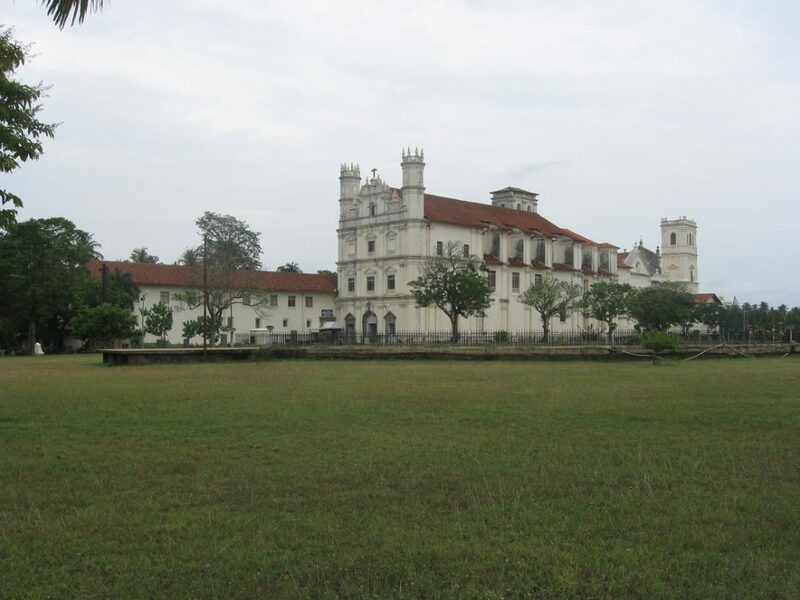 It was built in 1612 by the Portuguese colonial rulers to safeguard Old Goa from the Marathas and Dutch attacks. Inside the fort was a freshwater spring that provided water to sailors that used to stop near the fort, hence the name ‘Aguada’ was given, which means ‘Water’ in Spanish. Its architecture exhibits various aspects of Portuguese style. 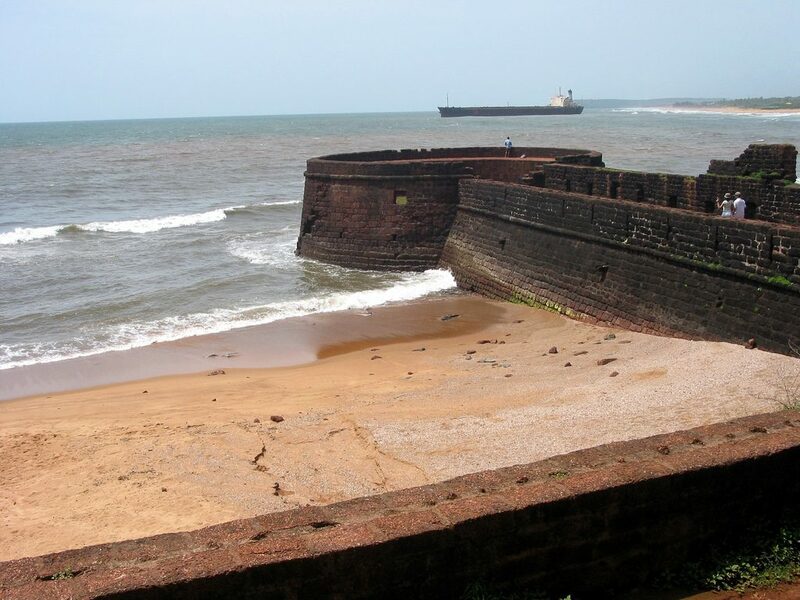 Interestingly, Fort Aguada is also known for having the Asia’s first-ever lighthouse. Parts of Fort Aguada serve as a jail, while the lovely panoramic view of the sea from the lighthouse is a must-see. This place is also well-worth a visit for an evening stroll and watching the striking Goan sunset. Dating back to the mid-16th century, Cabo Raj Bhavan holds centuries of history. 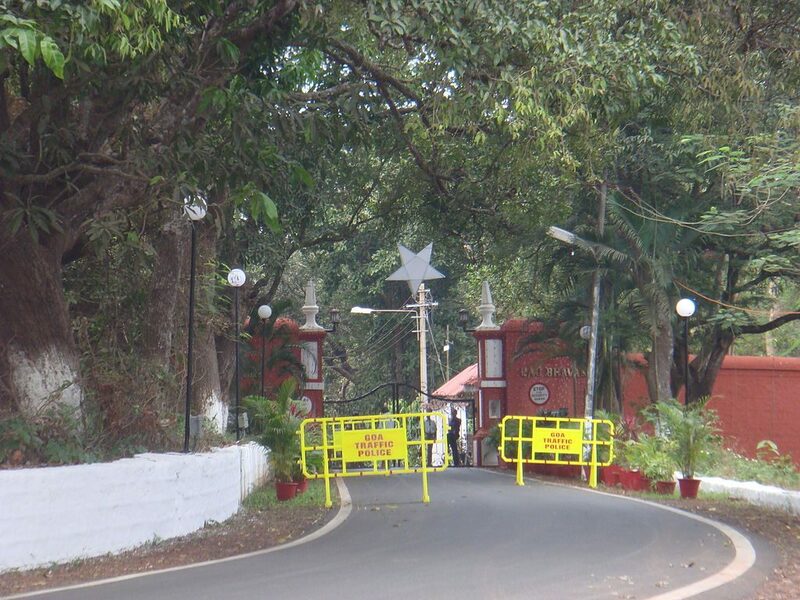 Officially, it is home to the Governor of Goa. It is a double-storey structure with ground level as the Governor’s residence and office chamber, and upper level as the Durbar hall, also known as the hall of gatherings. It features a range of antique artefacts and collectibles, including Chinese porcelain, period furnishings, Bohemian chandeliers and silverware that add to its beauty. There is also a small chapel on its premises that was founded by the Portuguese and referred to as ‘Our Lady of the Cape Church’. The Raj Bhavan also offers lovely views of the Zuari River and Mandovi River. 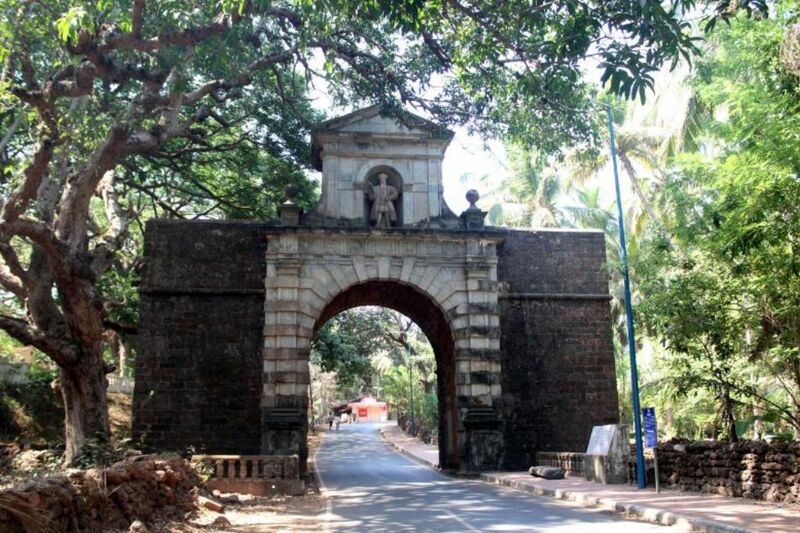 Once the main entryway into Old Goa, the Viceroy Arch is an historical and architectural marvel worth seeing. It is situated in Old Goa and made up of green granite and laterite stone. It was built by Viceroy Francisco da Gama in memory of Vasco da Gama and his accomplishments. The Viceroy Arch is adorned with the St. Catherine statue on one side and the Vasco da Gama statue on the Mandovi River side. The beautiful backdrop of Mother Nature creates a magical setting. 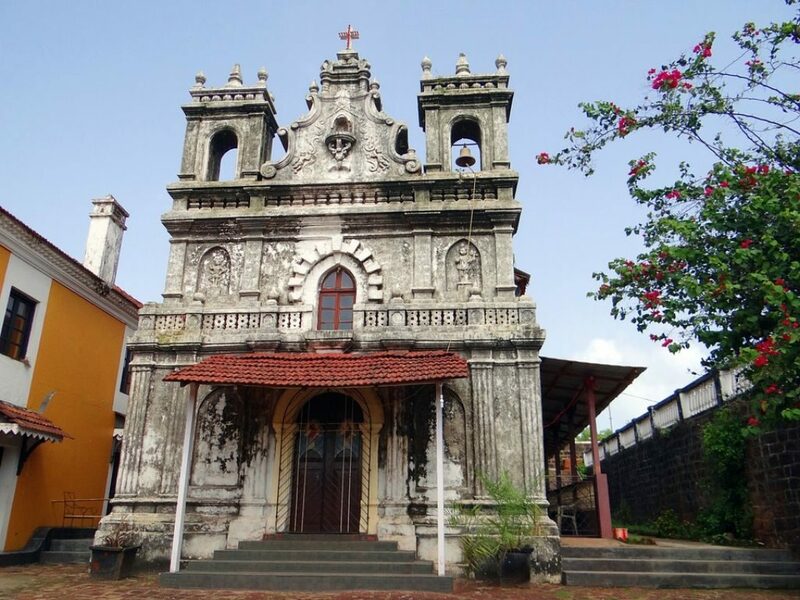 Located in Old Goa on a wooded hilltop, the Church of Our Lady of the Mount is the epitome of history and architecture. It is secluded and one of Goa’s better kept secrets. What really set the Church of Our Lady of the Mount apart is its plain brightly whitewashed walls that showcase a stunning picture at sunset. And, if you venture inside, you will be rewarded with lavish interiors. Also, thanks to its location, it offers lovely views of Old Goa and beyond. If you’re a lover of music, do visit this church as it host the famous Monte Music Festivals in February.